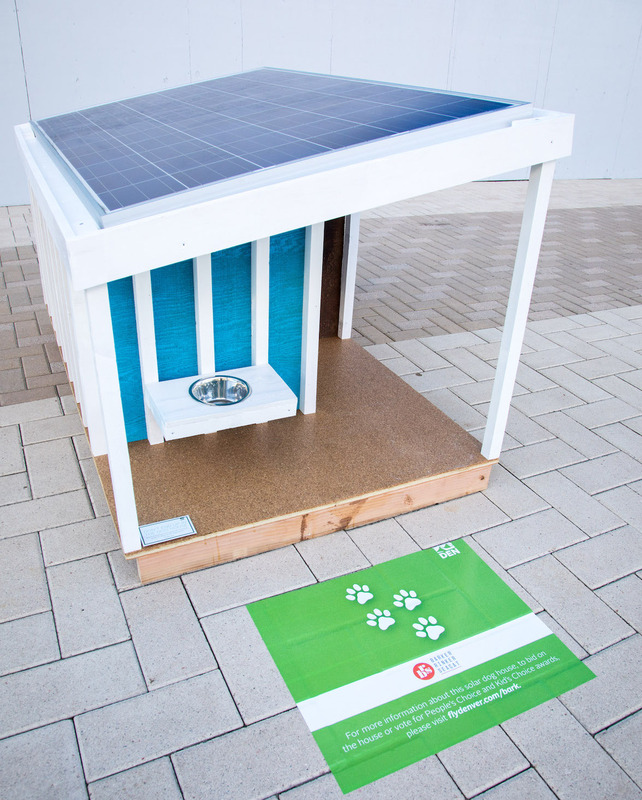 This energy-producing dog house was built by Barker Rinker Seacat Architecture. With a footprint of only 3’ x 5’6,” this house saves on energy by its smaller design. The geometric design was driven by the reuse of existing material. The solar panel, which is angled to optimize maximum energy creation, powers both indoor and outdoor electrical outlets, so when Butler is not watching his favorite show on Animal Planet, his people can use the outlet to power their electric lawn trimmer. The covered porch provides Butler protection from the elements while he’s on varmint lookout. 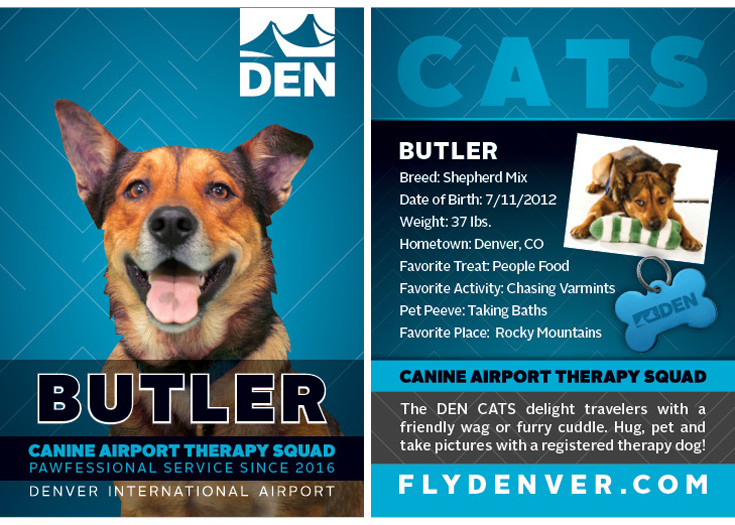 DEN Canine Airport Therapy Squad dog, Butler, a shepherd mix who is fond of people-food and chasing varmints. Re-duce, re-use, re-treat: to reduce energy consumption, footprint and water usage; reuse existing materials to protect future canine generations; and to create a retreat for Butler that incorporates stimulating yet tranquil design features that will allow him to re-charge for a new day of wagging and photo ops with DEN passengers.